Our goal is to have healthy, dual purpose labrador puppies and dogs bred to conform to the AKC standard with great looks, top quality and ability for hunting or competition, and great personalities for pet or copetition using outstanding hunt, show and dual purpose lines including FC Lakeridge Charlemagne, FC AFC FTCH NAFTCH Gunstock's Caramel Crunch, CH Topform's Edward MH, CH Aliho's Igloo Iggy UDX MH, AM/MEX/CAN/INT CH Campbelcroft's Peppermint Paddy CDX MH and CH Raintree Slippery When Wet JH. 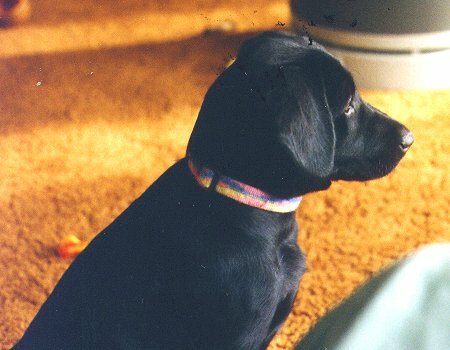 Puppies are socialized and retrieving birds before they are 7 weeks old. 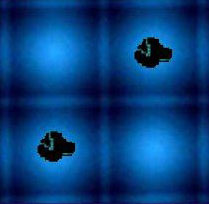 Pups usually have blocky heads. Our dogs are competing in field trials, shows (some do both), hunt tests and agility, as well as becoming drug search dogs and search and rescue dogs. We are in Eatonville, near Tacoma and Seattle, Washington. For puppy references, see the reference dog house below. Health guarantee on all pups. Parents CERTIFIED OFA (Orthopedic Foundation for Animals) and CERF, for hips, eyes and elbows, plus being tested for EIC and CNM. SPIRIT HAS PASSED AWAY AND WE HAVE COME TO AN END OF WORKING ON HIS DC DUAL CHAMPION TITLE IN CANADA, ALREADY HAVING HIS SHOW CHAMPION TITLE AND 6 POINTS TOWARD HIS FIELD CHAMPION TITLE, NEEDING A WIN TO GET THE DUAL CHAMPION TITLE. THERE WERE SO MANY, "WOULDA, SHOULDA, COULDA" DAYS, AND EVEN A TIME OR TWO THAT IF I HAD DONE SOMETHING DIFFERENT, HE WOULD BE A DUAL CHAMPION. IT'S TOO BAD BECAUSE HE WAS A GOOD DOG AND DESERVED THE TITLE. ALSO, THAT ACCOMPLISHMENT WOULD HAVE ENCOURAGED OTHERS TO WORK TOWARD BRIDGING THE GAP BETWEEN FIELD AND SHOW. PUPPIES! FROM SEBASTIAN AND ROSE BORN JANUARY 30, 2018 ARE BLACK AND YELLOW. There is a huge difference in Labrador puppies. 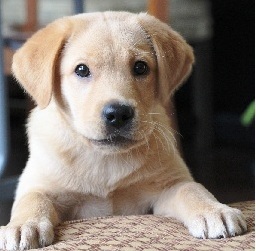 These parents and previous puppies have outstanding eager to please personalities, nice looks and extreme talent and intelligence for competition or pet home. Please see the references page below to see what people have to say about our pups. 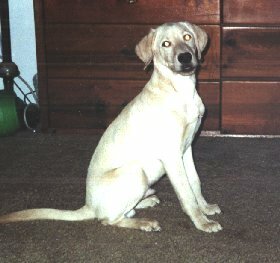 Click on the picture of pups to see information for this breeding. PUPPIES! FROM SEBASTIAN AND BODACIOUS DUE FEBRUARY 15, 2018 ARE BLACK AND YELLOW. There is a huge difference in Labrador puppies. 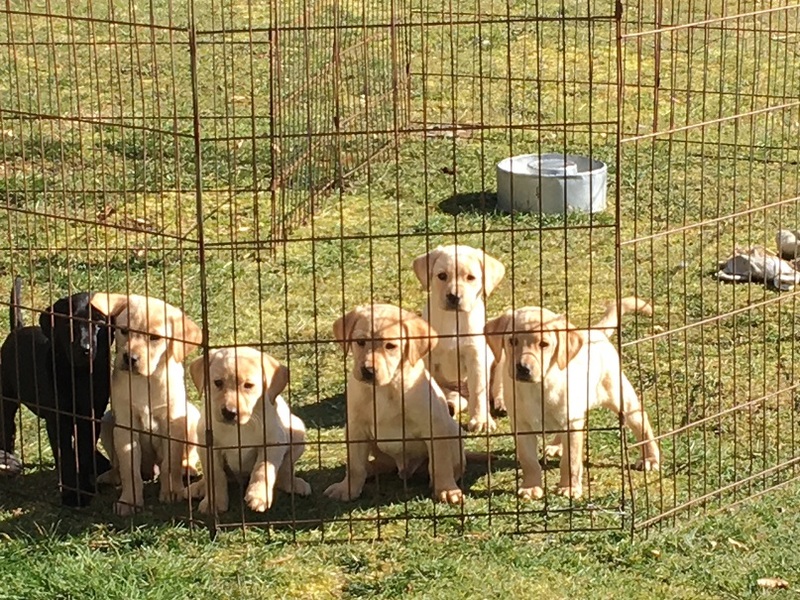 These parents and previous puppies have outstanding eager to please personalities, great looks and extreme talent and intelligence for competition or pet home. 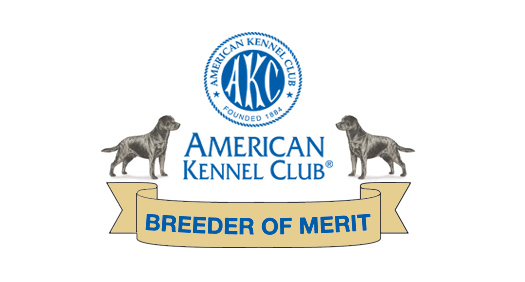 This litter is perfect for bridging the gap between field and show with unbelievable results. Please see the references page below to see what people have to say about our pups. Click on the picture of previous pup to see information for this breeding. 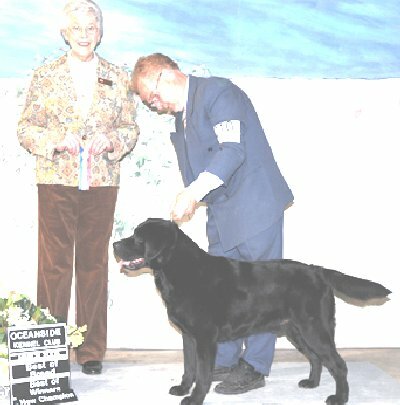 Two Canadian Champion dogs, Three Master Hunters, Two Qualified All Age in Field Trials, One with four agility titles. 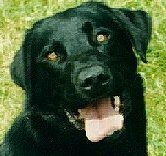 Cougar Mountain Labs is now also the home of several FEMA Disaster Relief Rescue dogs, including Jack in Las Vegas and Remi in Sacramento. 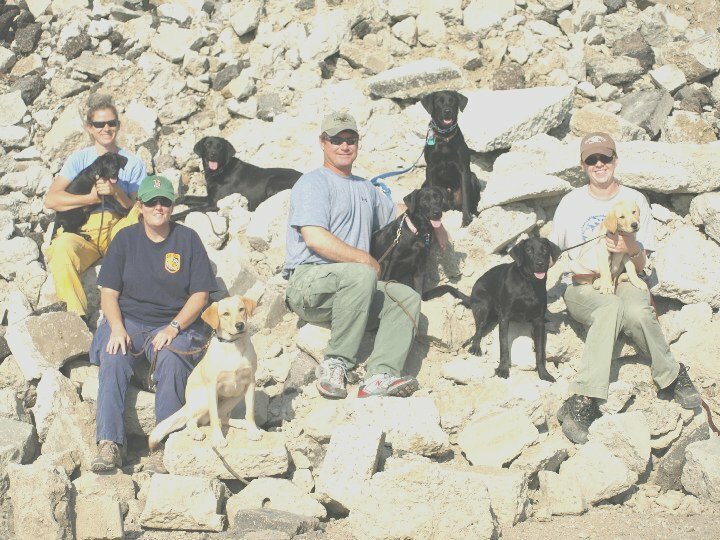 Cougar Mountain's Remington Steele is a Type 1 Disaster Search Canine with FEMA (Federal Emergency Management Agency) and Sacramento California Task Force 7. 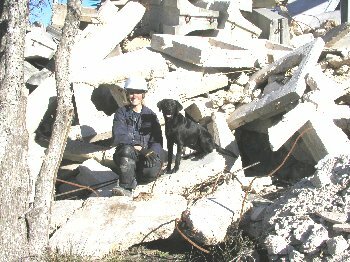 She is trained to search disaster scenes for live people who may be trapped in a collapsed structures or under rubble. 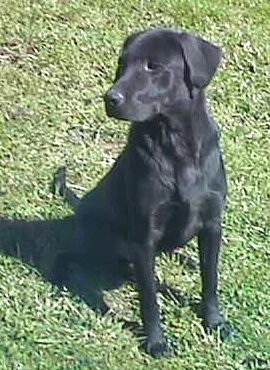 She barks to alert her handler to the location of the person so that the handler can identify where the rescue team should begin working. 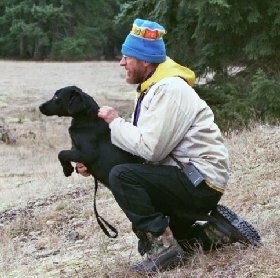 Remi and her handler, Teresa Ortenburger, passed their certification the first time with flying colors and 100 percent accuracy. 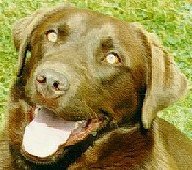 Remi is an enthusiastic, talented, and very confident working dog who progressed easily in her training. She and Teresa are on standby 24 hours a day to deploy to any disaster nation wide. This team will respond to events such as the World Trade Center disaster and Hurricane Katrina. 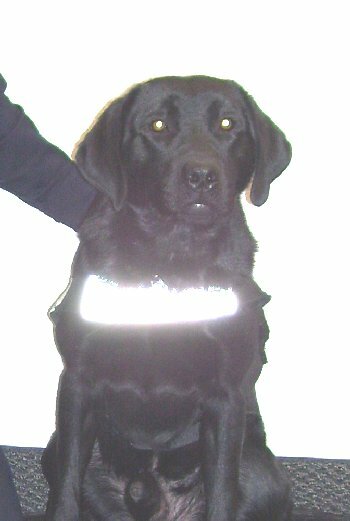 Remi's special abilities allow the rescue teams to quickly locate and save lives of people they would otherwise not be able to find in a disaster.